Geek Grotto - Get Your Geek On! 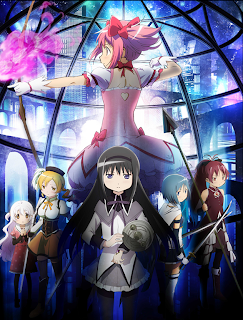 : Puella Magi Madoka Magica the Movie - Rebellion- Gets US Theatrical release! Puella Magi Madoka Magica the Movie - Rebellion- Gets US Theatrical release! We here at the Grotto are always extremely happy when an anime title gets a theatrical release, but, at least for us here, our home theater surpasses our closest theater showing Madoka by leaps and bounds. Others will have some much better options to watch this. From the looks of it, it will be mostly art house and independent theaters. Either way, support this so we can have more titles theatrically! Madoka Kaname has changed the world. In this new world, is what the magical girls see a world of hope… or despair? Featuring a brand new story written by Gen Urobuchi (Fate/Zero, Psycho Pass) of Nitroplus, the original storyline begins after the events of Part 2: “Eternal”. With an all new story and original animation set for the big screen, there is no doubt that the movie will provide a new experience for both fans who have enjoyed the previous movies, and those who are just seeing Madoka Magica for the first time. To celebrate this special occasion, Aniplex of America will host a US Premiere Event on December 3rd at the Egyptian Theater in Hollywood, CA. This is a unique opportunity for fans to be the first to watch the Madoka Magica movie as well as experience a visit from production crew members. Additionally, those who purchase a U.S. Premiere ticket will receive a exclusive gift bag which includes a Madoka Magica mini autograph board, the movie guide book and a Kyubey cell phone stand. Exclusive Madoka Magica the Movie merchandise will also be on sale at the event. Tickets for the US Premiere Event go on sale on Tuesday, October 15th at 10:00AM PST at MadokaMagicaUSA.com/rebellion. Following the US Premiere, ELEVEN ARTS will distribute the film to select theaters in major cities across the US and Canada. Each admission ticket will give the fans a chance to receive an exclusive mini autograph board while supplies last. There will also be exclusive Madoka Magica merchandise sold only at the Los Angeles theater, Downtown Independent while supplies last. The official release of the film is on December 6th. Ticket will go on sale beginning October 15th. For information regarding when tickets become available for purchase, please refer to the theater’s websites. Akron, Albuquerque, Austin, Birmingham, Boston, Buffalo, Chicago, Clearwater/Tampa Bay, Cleveland, Dallas, DC, Denver, Fort Lauderdale/Miami, Greensboro, Honolulu, Houston, Indianapolis, Kansas City, Las Vegas, Littleton, Los Angeles, New York, Philadelphia, Phoenix, Pittsburg, Portland, Raleigh, San Antonio, San Francisco, Sandy, Seattle, Tulsa, Yonkers. Madoka Kaname is a magical girl who sacrificed her very existence to set every magical girl free from their cruel destiny. Homura Akemi is another magical girl who still dreams of the day she can finally see Madoka once again. Were all the magical girls truly saved from despair? Now… the great “Law of Cycles’ leads the magical girls to their new fate. This third film will once again bring together the extraordinary members of the Madoka creative staff. Led by chief director Akiyuki Shimbou, the script will be written by Gen Urobuchi from Nitroplus and the original character concept designs will be by aokiumi. SHAFT will once again be the studio that will be bringing their work to life. With a completely new screenplay and new animation Puella Magi Madoka Magica The Movie –Rebellion- is a brand new tale of magical girls. Puella Magi Madoka Magica originally aired in Japan in the beginning of 2011. 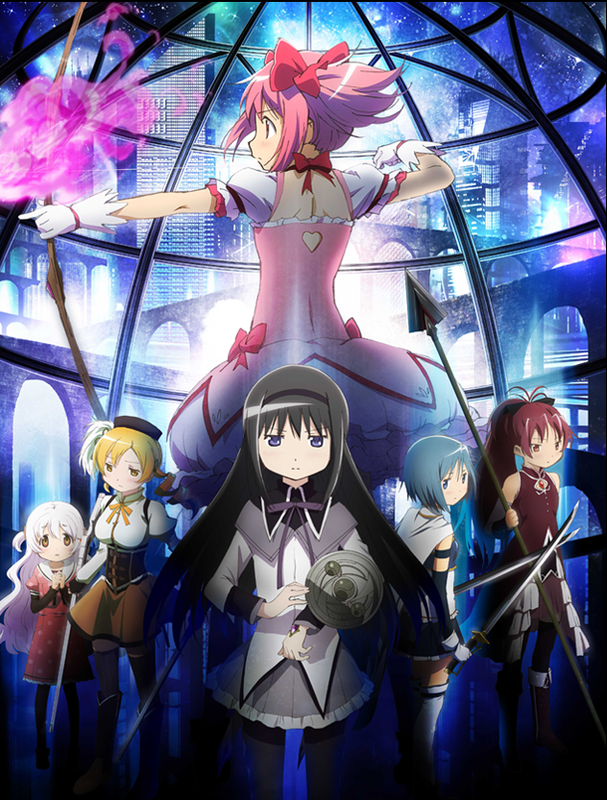 Following its television release, the first two Puella Magi Madoka Magica movies debuted in theaters in 2012. Both the movies and TV series have been growing in popularity worldwide. Puella Magi Madoka Magica follows the story of a 14-year-old girl named Madoka Kaname. Madoka is offered the opportunity of gaining magical powers if she agrees to make a contract with a strange little being named Kyubey. Kyubey will also grant Madoka one wish, but in exchange she shall risk her life by accepting the responsibilities of fighting witches. Little does Madoka know what the real risks of making a contract has in-store for her. Aniplex of America Inc. (Santa Monica, California) is a subsidiary of Aniplex Inc. (headquartered in Tokyo, Japan), a group of Sony Music Entertainment (Japan) Inc. and a leading provider of anime content and music production and distribution in Japan. Aniplex of America has launched fan-favorite DVD and Blu-Ray releases such as Bakemonogatari, Durarara! !, Puella Magi Madoka Magica, the Garden of Sinners, Sword Art Online, Blue Exorcist, and Blast of Tempest. The company's ever-growing line-up of shows includes our most recent titles Monogatari Series Second Season, Day Break Illusion, SERVANT x SERVICE, Silver Spoon, Oreshura, Kill la Kill, Samurai Flamenco, and Vividred Operation. ELEVEN ARTS is the Los Angeles based film distribution company that has brought many acclaimed Japanese films, live-action and animated features, to North American audiences. ELEVEN ARTS’s major live-action titles include Japan Academy Awards winner Memories of Tomorrow (starring Ken Watanabe) and Oscar nominated director (with The Twilight Samurai in 2004) Yoji Yamada’s samurai film Love and Honor. ELEVEN ARTS is also a respected distributor of popular animation titles such as the Evangelion franchise, Fullmetal Alchemist: The Sacred Star of Milos, and Puella Magi Madoka Magica The Movie Part 1: Beginnings/ Part 2: Eternal.